The decision to deploy cloud computing is a strategic one. Many organizations are curious to learn more about their IT environments and evaluate whether deploying cloud services is appropriate. Take a short survey that assesses your current IT environment with regard to systems, processes, and productivity. 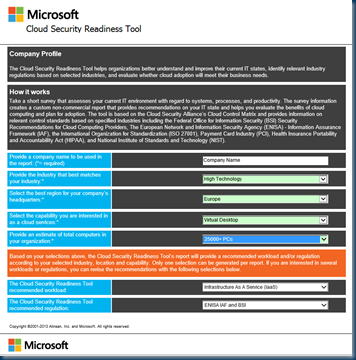 The survey information creates a custom non-commercial report that provides recommendations on your IT state and helps you evaluate the benefits of cloud computing. Learn what Microsoft is thinking about cloud service reliability and how organizations can work together to improve it. This whitepaper provides insight on deploying robust cloud solutions to maintain highly available and secure client connections. It highlights real-world examples to discuss scalability issues. 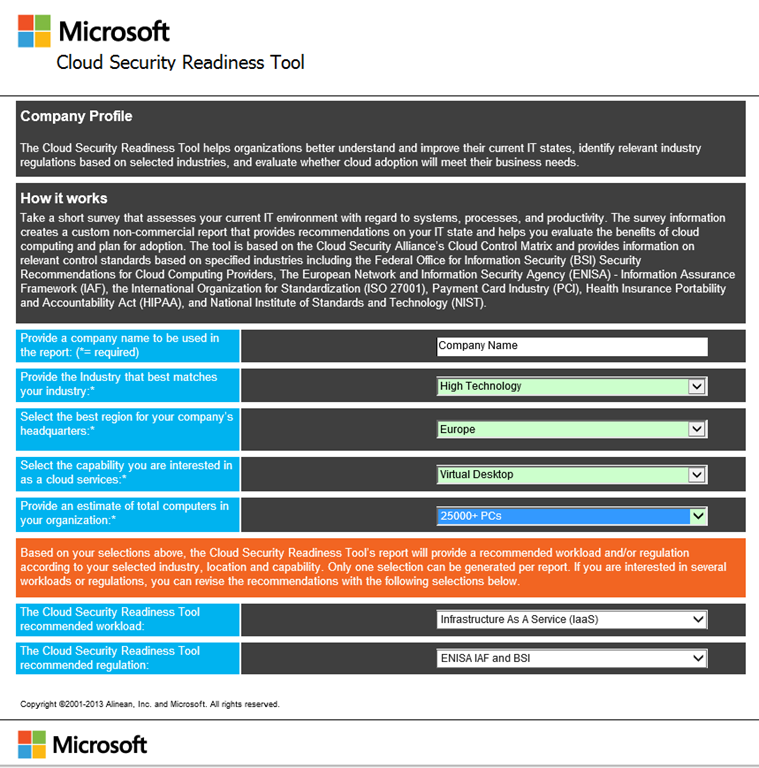 Learn how Microsoft is using the cloud-specific framework of the Cloud Security Alliance (CSA), known as the Security, Trust & Assurance Registry (STAR) for its cloud solutions. using a well thought-out controls framework, organizations can avoid most of the costs related to engaging outside expertise for selecting an appropriate cloud provider, and rely instead on combined efforts that represent years of expertise in the field.